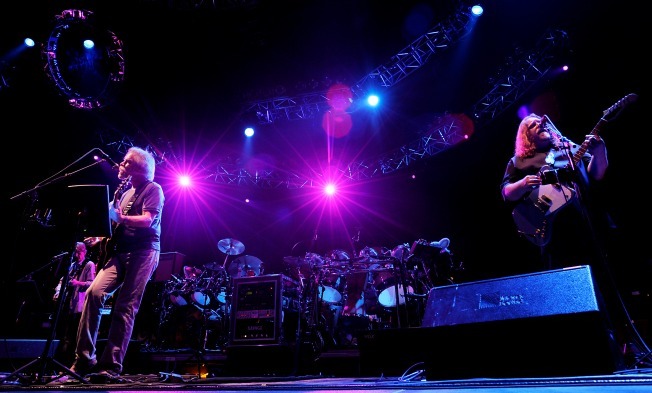 Missed out on tickets for Grateful Dead's final "Fare Thee Well" shows in Santa Clara? It's not a problem if you don't mind patronizing a resale site. Tickets to the last performances at Levi's Stadium were available Thursday on StubHub starting at $35 for June 27 and $27 for June 28. Both shows officially sold out in minutes. According to statistics released by the site, Taylor Swift is StubHub's highest selling artist of the year, but Grateful Dead are outpacing sales of her individual shows by 65 percent, more than any other act that is on tour this year. Californians are responsible for buying 59 percent of the tickets to the Santa Clara engagements. Conversely, 86 percent of ticket sales to the final dates in Chicago on July 3-4 came from outside of Illinois.